← JUST LISTED ~ Elk Ridge Cabin! JUST LISTED ~ Green Mountain Retreat!!! 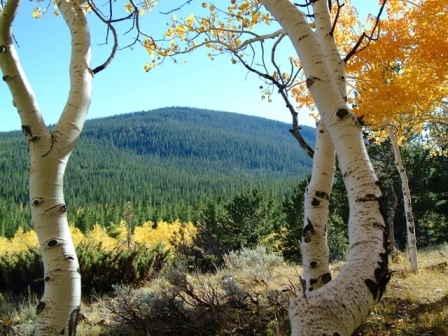 We just listed the Green Mountain Retreat, a 620 acre in-holding in the Medicine Bow National Forest. Completely surrounded by national forest, this incredible mountain property would make a tremendous private “base camp” for the avid outdoorsman! Elk, deer, bear and the occasional moose call the Green Mountain Retreat their home. In addition to the attributes top flight high country properties share, Green Mountain offers something special. Due to its fortunate combination of topography, snowfall, and NE-facing bowls, the property contains exceptional alpine ski opportunity entirely within its own boundary, accessible by modern snowcat. A mile long ski trail with 1,200 feet of vertical drop already exists and will give a buyer a great insight to the potential for additional trails on the mountain. To see more about the Green Mountain Retreat CLICK HERE.